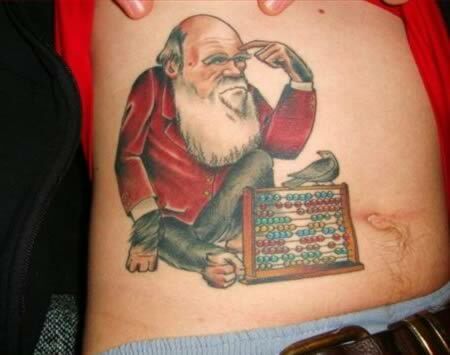 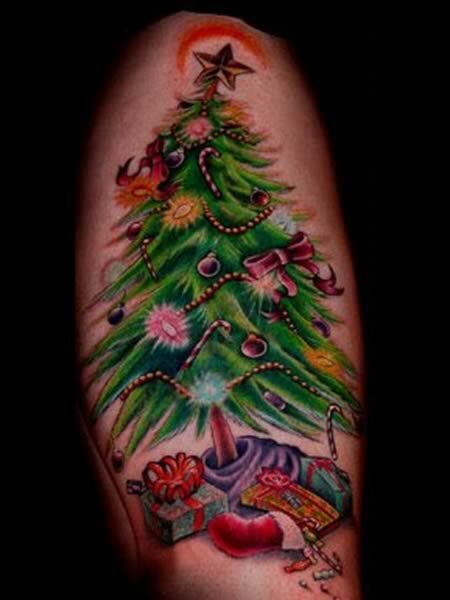 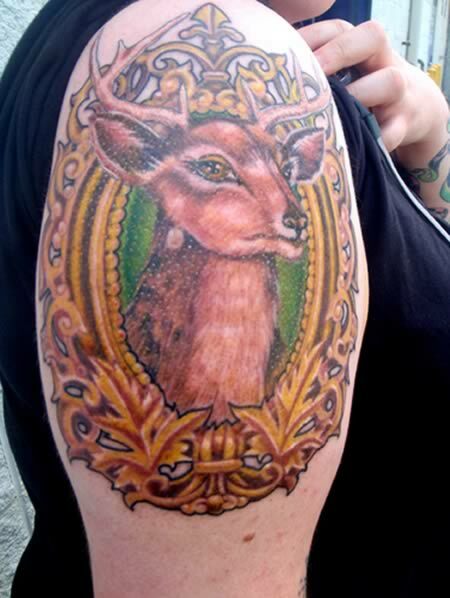 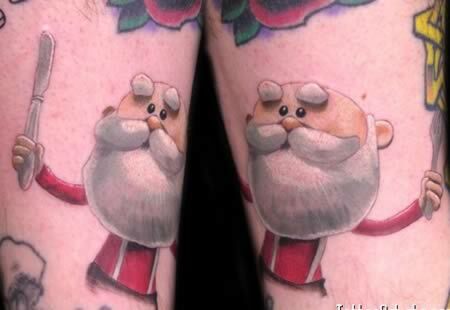 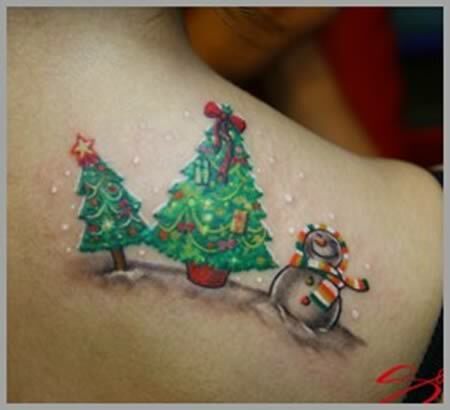 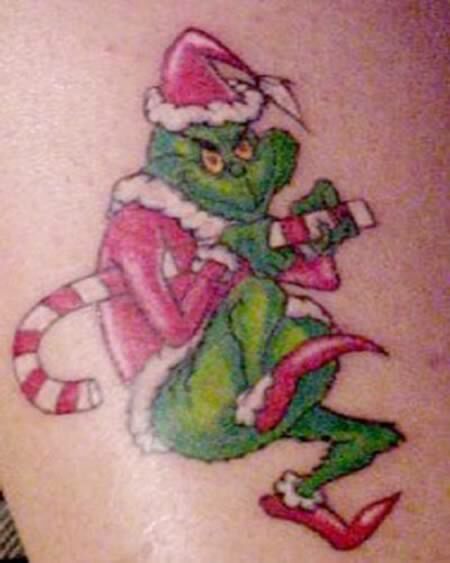 Well, this is Darwin tattoo but he does look a lot like Santa. 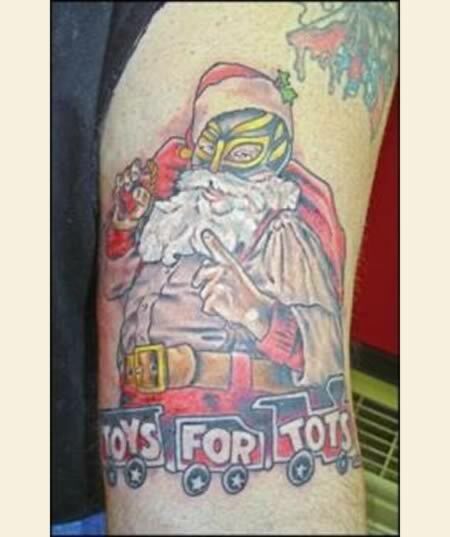 Bill ‘the Southern Grizzly' Porter at the Lewes tattoo shop Tough Luck Tattoo getting a Toys for Tots tattoo by Kris Dilworth on his left arm. 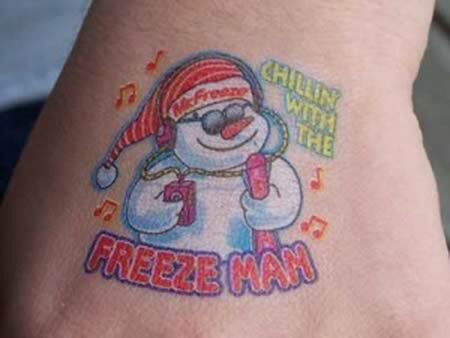 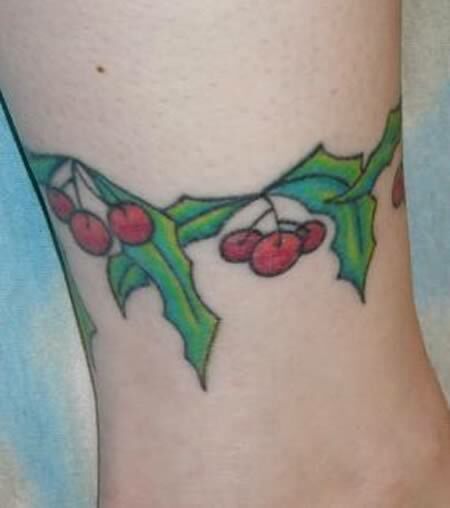 Temporary Christmas tattoo for frozen popsicles.